Volkswagen is now bundling all tasks relating to the development and production of batteries into its Components division, which has n0w assumed responsibility for all aspects of energy storage – from cell production to mobile charging banks, to battery recycling. Although the step to becoming an independent brand is new, the Components division has been around for a while. It currently has 61 supplier plants worldwide with a total of 80,000 employees. Until now, the division has been the Group’s in-house supplier of components including engines, gearboxes, electric drive systems, steering systems and seats. “We are now sharpening our profile in the e-mobility field. Group Components is assuming end-to-end responsibility for the battery – from the development of cell production competence through to recycling. 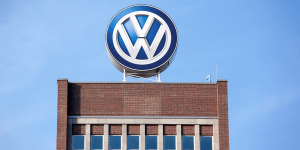 This is a key step for the entire Group,” explained Dr Stefan Sommer, Member of the Volkswagen Group Board of Management responsible for Components and Procurement. From now on, the operative business will be the responsibility of a three-member Executive Board: Thomas Schmall as Chairman of the Executive Board, Thomas Eichenberg as Chief Financial Officer and Wolfgang Fueter as Chief Human Resources Officer. The management also includes the heads of the newly tailored five cross-location business units “Engine and Foundry”, “Transmission and Electric Drive”, “Chassis”, “Seats” and “E-Mobility”. From an electric mobility point of view, it is the extent to which the realignment will boost the Group’s e-mobility offensive that is of particular interest: Volkswagen states that in the years 2019 and 2020 alone, 870 million euros will be invested Group-wide in the production of electric components. The share of investments in this area has thus risen from 5 to 40 per cent since 2015, according to a VW press release. In total, the Group intends to invest 3.8 billion euros in the production of electric components by 2023, as part of the current plan. The realignment affects the Salzgitter, Braunschweig and Hanover sites where specialists are already building up battery cell expertise for the Group. In the first half of 2020, a pilot plant will be opened in Salzgitter, where the recycling process for high-voltage batteries will be further developed. In Braunschweig, battery systems for electric vehicles based on the MEB platform will be produced under new responsibility for all brands. At Hannover, where currently engines and castings are made, the Components division will be focusing on charging infrastructure from 2020 onwards. The charging stations to be made at the Hannover plant are technically based on the battery package of the Volkswagen Group’s Modular Electric Toolkit (MEB) and are designed to use its cell modules. Also part of the battery life process, the charging stations will provide a second life for batteries from electric vehicles. “When batteries reach the end of their service lives in vehicles, some of them will be transferred to other applications – for example in new products such as the flexible fast charging station,” says Volkswagen. VW’s mobile charging stations are power banks that can charge up to 4 electric cars at a time and be transported to locations where power is needed, such as a stadium during a rock concert. Customers can use an app on their phones to find the mobile their closest station. The battery charging station would allow the storage of solar and wind energy, and can be recharged during off-peak hours, helping to ease the strain on the power grid, the carmaker said. The first mobile charging stations will be put into action this year in VW’s hometown of Wolfsburg and brought to other cities in 2020. The earth and us EV drivers. I am a EV owner and Electrician. It is so about time for this to change to happen. I saw your VW van concept EV. Love it.